In a medium bowl, whisk together buttery spread and sugar and use all of it to brush tops of matzoh. Bake, rotating trays halfway through, until sugar is lightly browned, 15 to 20 minutes. Set trays aside to cool completely. 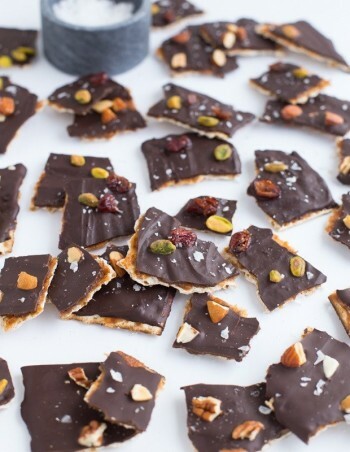 Using a fork, drizzle matzoh all over with chocolate and then immediately sprinkle pistachios or peppermints over the top. Briefly, chill the trays in the fridge until chocolate is set and then break or cut into 24 pieces. Store in an airtight container at room temperature until ready to serve. Previous Post Falafel Next Post I just purchased a Package of Classes. Do I still need to register for each class online?